On the left, from the Local History Archive, is Poudre Valley Bank. Today, right, the building is for sale. 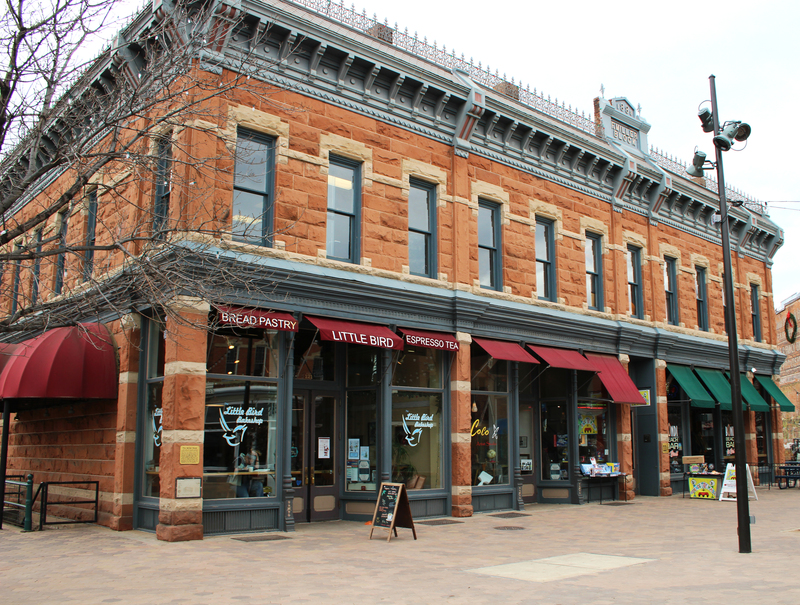 This is a report of the history of Fort Collins, Colorado. It is, in my opinion, the best town in Colorado. After living here for three years, the deep history Fort Collins has to offer is very interesting to me. I hope you find it just as entertaining. Founded in 1862, Fort Collins was originally a military post to protect travelers in covered wagons using the Overland Trail. For awhile, the growing town was referred to as ” The Fort”. As it grew in size, and was recognized on the election precinct in 1868, what is known as Old Town today became Camp Collins. “So the moment when it ceased to be a “camp” and became a “fort” is uncertained” (Swanson). The group of migrants who founded “The Fort” had moved away from a devastating aftermath of the flood in 1864. To prevent future floods, they wanted to move to higher ground. The time of year was misconceiving, and the commander at Fort Laramie made a questionable call, directing his people to another floodplain. Shortly after the territory was claimed, one of the most important battles of American history took place in what is today Kiowa County. The Sand Creek Massacre was in November of 1864. Twenty-four United States soldiers were killed, 52 were wounded, and 70 to 160 Native American lives were lost. The Treaty of Fort Laramie had given the Indians that territory, but soon the government wanted to renegotiate this agreement. 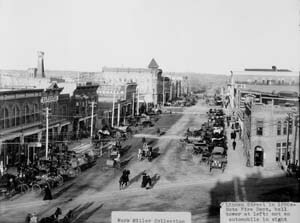 People were flocking to the area during the Pikes Peak gold rush and there was not enough space. After a compromise could not be reached, the Sand Creek Massacre changed everything. Tribes all over were outraged and seeking revenge. “This slaughter of Indians spread the desire for revenge through the tribes and made overland travel dangerous for isolated parties” (Swanson). Colorado Central built the first railroad in Fort Collins to deliver goods in and out of the town in 1877. The company also built an all-purpose station for its passengers, a railroad depot, and a freight (Fleming). The original station was built on the north side of Mason Street, but was later demolished in 1906 and rebuilt at a different location. 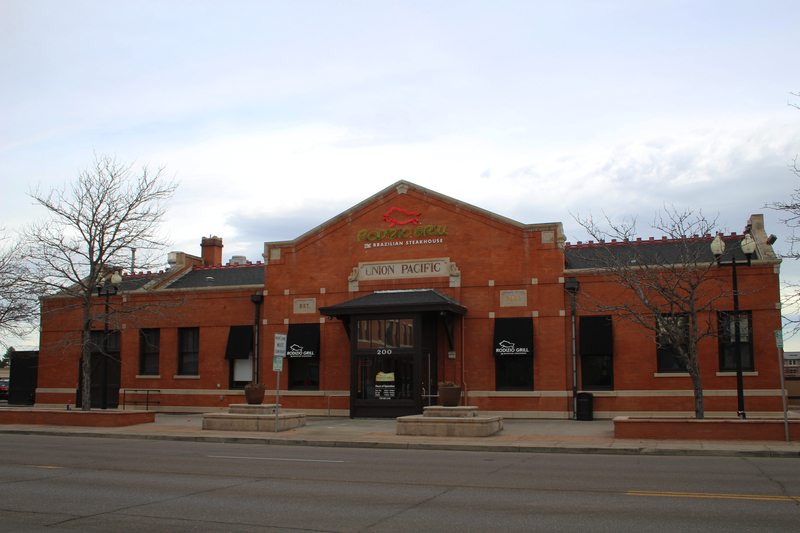 The station that replaced it in 1889 was the Colorado and Southern Railroad Passenger Depot. It sat on corner of Laporte Avenue and Mason street, serving Fort Collins for more than 60 years. This is the Union Pacific passenger depot today. It is a Brazilian steakhouse called the Rodizio Grill. A railroad changed everything for Fort Collins. Trade was possible, goods were available and even more jobs were made. As the population grew, the need for a passenger railroad became clear. The Union Pacific filled this need by purchasing around $400,000 worth of properties along Jefferson Street and building another railroad. A second passenger station was built too. It still stands today as a restaurant (Fleming). Old Town Fort Collins historic district, 1978 (Photo credit: Fort Collins History Connection). The first drawing for lots was in December of 1872. It is what divided up the land along College Avenue. “In 1985 the population of Fort Collins was estimated at five hundred. It boasted a drugstore, newspaper, livery stable, bank, three hotels, three sawmills nearby, one church with a building and three or four other congregations, and a flourmill” (Swanson). Next, I will cover some of the earliest establishments that thrived on the land where Old Town sits today. The first livery stable opened at the northwest corner of Jefferson and Pine Streets. During this time, the most practical way to get around was riding a horse. “Nothing could be more important to a businessman or homeowner than a livery stable to house the animals” (Fleming). 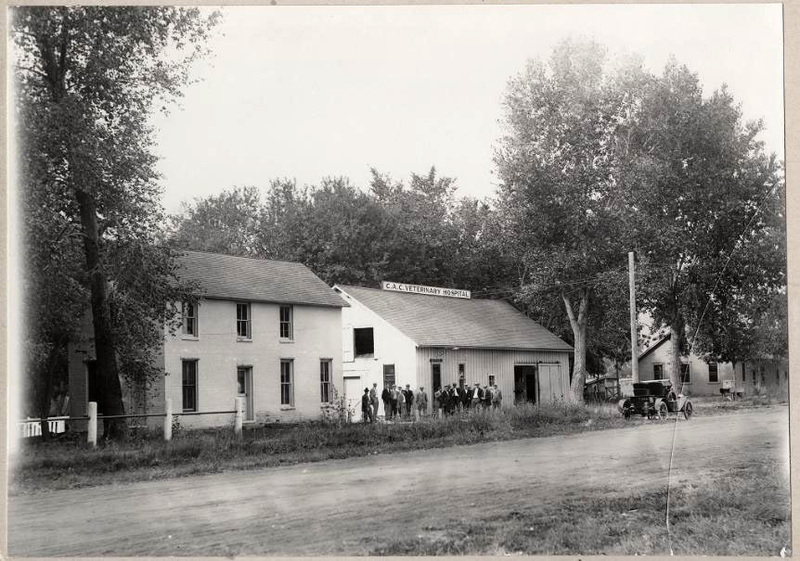 It was called the Old Grout Stage Barn and was later sold in the 1910 auction to make room for a new railroad passenger station (photographed above). Over 100 different buildings were auctioned off. Fort Collins Open Door Mission. 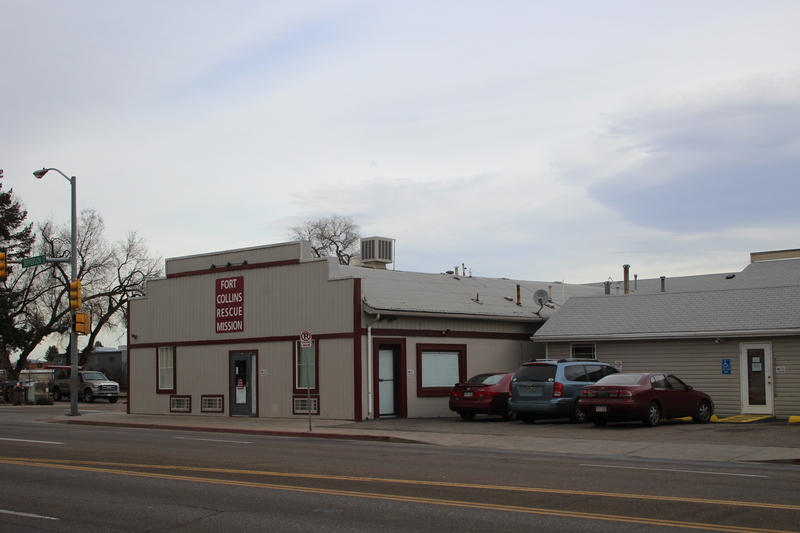 This included a local secondhand store that is today known as the Open Door Mission in Fort Collins. The original shop, the Collins Store, was owned by W.C. Stover and it was the first building in town to be constructed out of bricks (Fleming). Another one of the earliest commercial stores was a bicycle repair shop/shoe store on the corner of Walnut and Pine Streets. P. Anderson Merc’ CO. opened in 1888 at 222 Walnut Street. The owner Peter Anderson was one of the earliest settlers in Fort Collins (Fleming). He was a farmer, a freighter, a stockman, a cattleman, a bank director, a merchant and then a business owner. He was also the proud owner of Andersonville, a sheep-feeding farm located by the sugar beet factory. 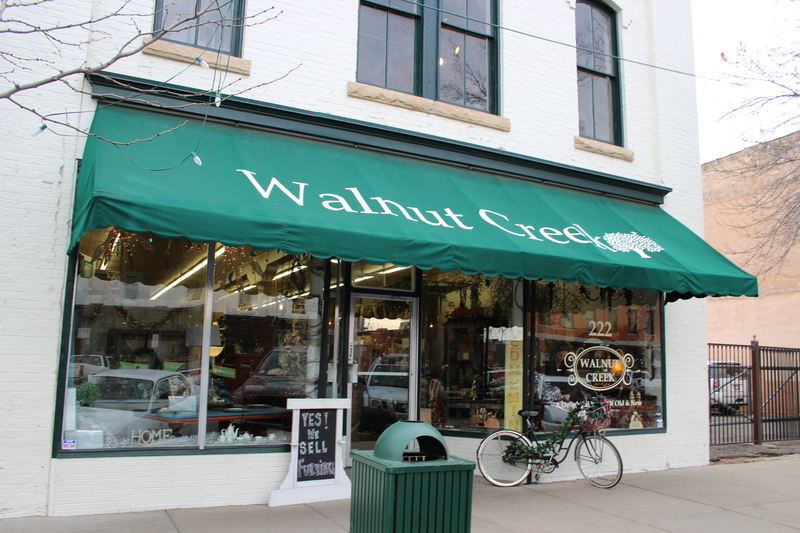 This building is now known as Walnut Creek in Old Town. Soon a blacksmith shop opened at 232 Jefferson Street. It went out of business after the car became popular, but the original building still stands after revitalization. Around the opening of Jerry’s Blacksmith Shop, Billy Patterson opened Hay and Grain on the northeast corner of Jefferson and Pine Streets. The establishment was later burned down in 1889. Today the land remains bare, just a few feet south of the railroad tracks. The Colorado Agricultural College Veterinary Hospital (Photo credit: University Archive). Billy Patterson was also a big contributor to the funds that supported the opening of Colorado Agricultural College in 1870 (Swanson). The first classes were held in 1879. The Miller Block made up the southeast side of Linden and Walnut Streets. After the business went under during prohibition, the building was lucky to have survived. It even withstood several neighboring fires and break-ins. 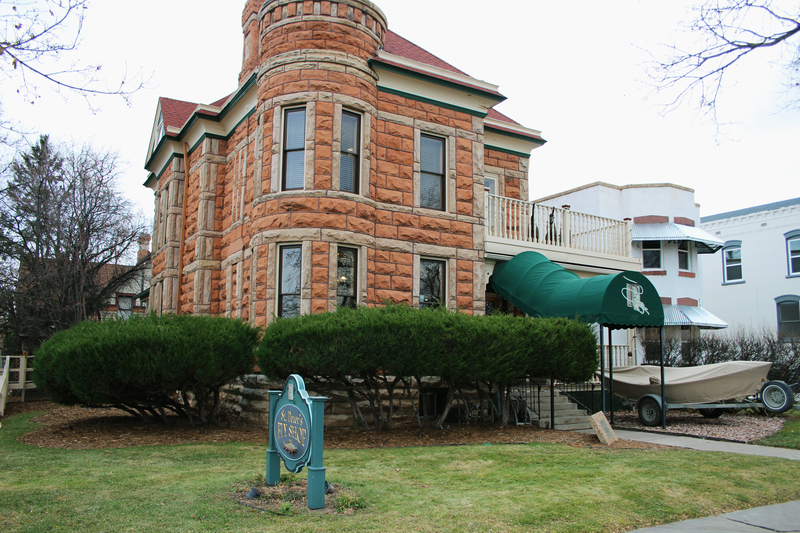 People were not as interested in preserving the history of Fort Collins as they are today, and the establishment was neglected. 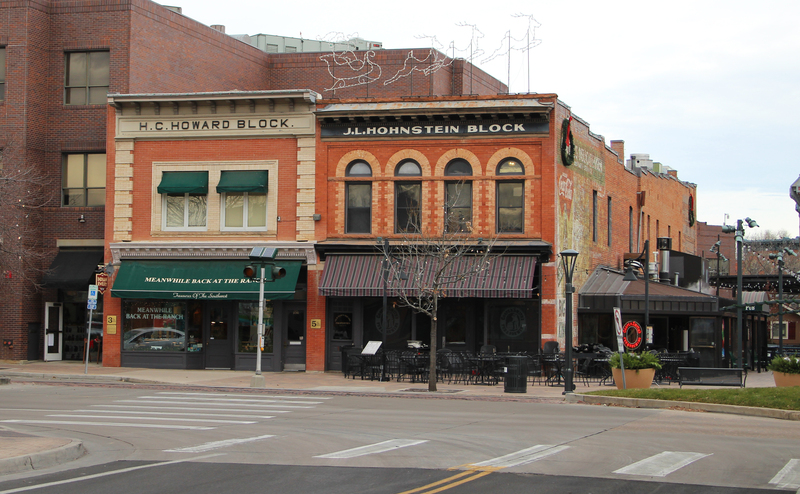 The Miller Block is now used for three separate businesses in Old Town Square. It was originally built in 1888 by Frank C. Miller, additions were done in 1891 (Fleming). The store had a sampling room for customers to try the beer before purchasing it. Now it is hidden to the average eye in Old Town commercial space. 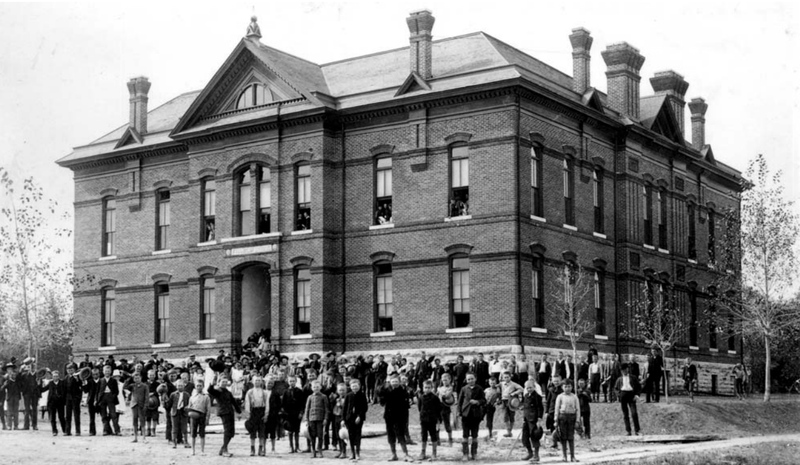 In 1887, The Larimer County Courthouse was built. Crime was beginning to take place and a system to control it was needed. Today, two new courthouses stand on the same land that the original one was built. Another early business in Fort Collins was Owl, a local drugstore, located at the corner of Mountain and College Avenues. The original building is the old Beau Jo’s Pizza building, who have also since moved. It was built in 1897 and was first used to house a bank until it was demolished in 1961. It was then replaced with the architecture we see there today. Rumor as it, the building is haunted, lot learn more about the ghost stories, check out think link. Owl Drug Store was the first shop to occupy 100 North College. Since, Beau Jo’s Pizza and The Kitchen have operated restaurants out of the building. 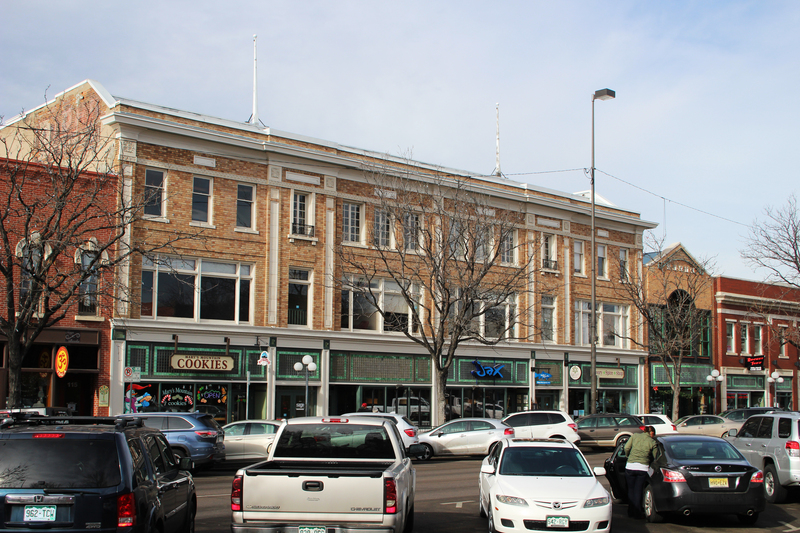 The earliest grocery store to open in Fort Collins was Davy Groceries. It was also built in the business district on north College Avenue. It began serving the town in 1833. The owner, “Captain Davy, as Thomas H. Davy was locally known, advertised imported chocolate and cocoa, imporved hygienic new-era coffee, and ‘Sussex horse radish flour o make bone, nerve muscle and a kind disposition'” (Fleming). Today this land is used to run the Opera Galleria. A picture of Walrus Ice Cream today next to an old photo of Flowers Millinery Shop (Left photo credit: Fort Collins Local History Archive). Most Fort Collins residents have visited the beloved Walrus Ice Cream. In the early 1900’s, sometime before 1910, Mable Rogers opened at hat shop in the building. “At this time, etiquette demanded that a lady wear a hat when she went out” (Fleming). The historic site is on West Mountain Avenue, which used to be called Mountain View Avenue during that time. In 1879 an opera house was constructed on North College Avenue. The establishment was designed to bring more people to town who seek culture. Plays, musicals, various balls, masquerades and even famous speakers performed here. The building was also used to operate the Windsor Hotel. Although it has seen some remodeling, the building still stands today, part of which houses Mary’s Mountain Cookies. The Howard Block is a red, brick Victorian-style building. It hosted a grocery store until 1906, when a second store opened. Later, a bicycle shop occupied the building for several years. 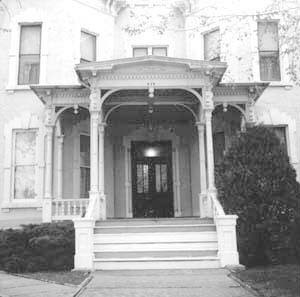 Benjamin Hottel’s residence, (Photo credit: Fort Collins History Connection). 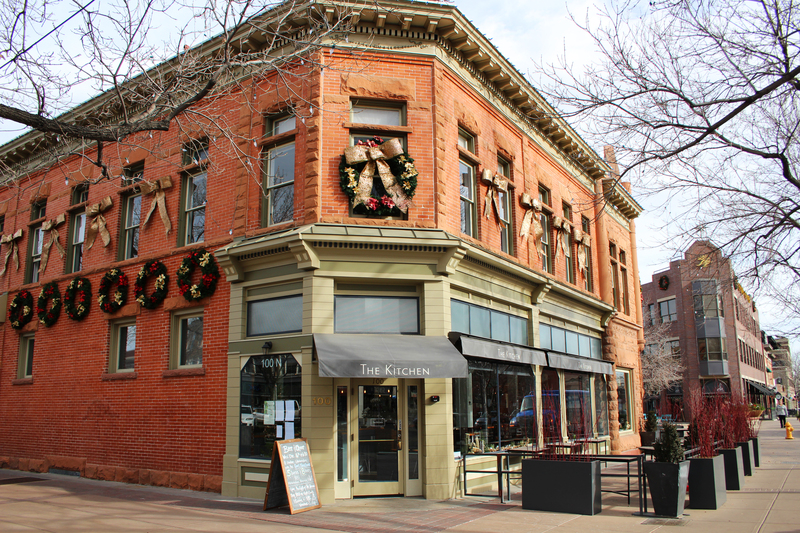 There are so many beautiful homes in Fort Collins that date back to the early 1900’s, some even older than that. It was hard to pick and choose, but I will spotlight a few. ACE Hardware at 215 South College used to be a very nice home, owned by Benjamin Hottel. The house was built in 1883, but as College Avenue overwhelmingly became a business district, the house was torn down in 1962. Built on top was a J.C. Penney store, before it became the hardware store that it is today. This is a front view of the historic home today, where St. Peter’s Fly Shop operates. 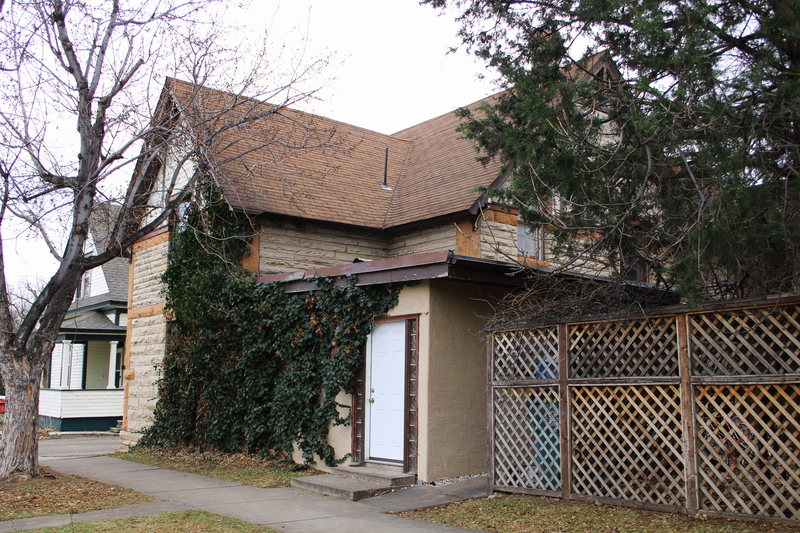 Another one of Fort Collins oldest houses is located at 202 Remington Street. According to the plaque outside the house today, it was built by Charles Andrews in 1889. In 1899, Dr. Peter McHugh began using the house as both a home and a private hospital called McHugh House and Hospital. Newspapers of that time described the business as, “a place to get well instead of to die” (Fleming). This is the back view of the house that used to be a part of the original establishment. The house was restored in 1977 and placed on the National Register of Historic Places. Today, St. Peter’s Fly Shop is established there. This back building was also originally connected to the house. Now the two properties have separate owners. Then and now shot of the Northern Hotel. The photo on the left was taken in 1938, courtesy of the Local History Archive. The oldest hotel in Fort Collins still accommodates residents today, but not as a hotel. The Northern Hotel was originally built in 1879. It has since been renovated and revitalized several times, but it still stands at the corner of College Avenue and Walnut Street. Today it is used for senior housing, but the original hotel sign still hangs. On the left is a photo of the Armstrong Hotel in 1924, (Photo credit: Colorado State University). A present day photo of the hotel is on the right. 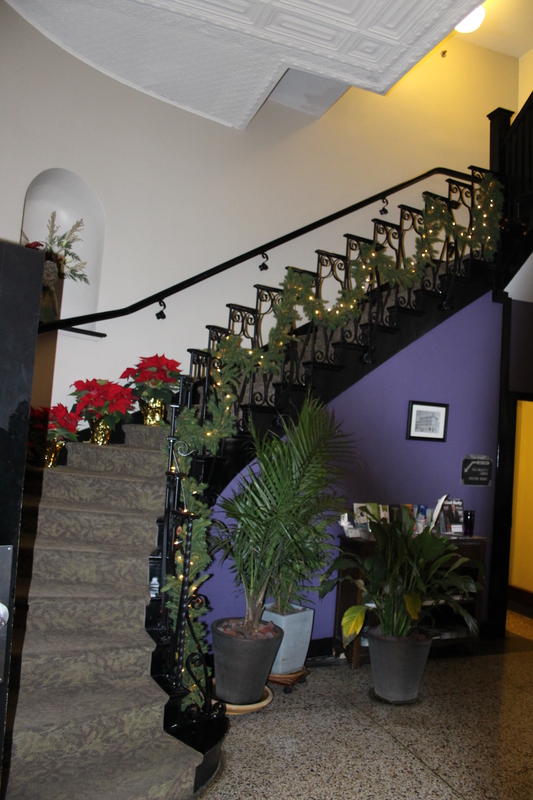 The spiral staircase at the Armstrong Hotel. The Armstrong Hotel opened in April of 1923. It is still a hotel today and operates out of its original location on the corner of College Avenue and Olive Street. The lobby is restored to look the same is it did during the 1920’s. The hotel was made to serve auto-tourists, so its success varied as the population of the car did (Fleming). It is famous today for the spiral staircase leading to the rooms above Old Town. This building is also on the National Register of Historic Places. One of the oldest churches in Fort Collins was the Methodist Episcopal Church. Before they had a real meeting place, members of the church would meet in various places around town. There is record of them congregating as early as 1867. Although they do not meet in the original building, which was built back in 1889, the church still holds mass today in their new building. The old church was demolished in 1964 to make room for new offices (Fleming). This is the original building built to house the Saint Joseph Catholic Parish. It still stands today. 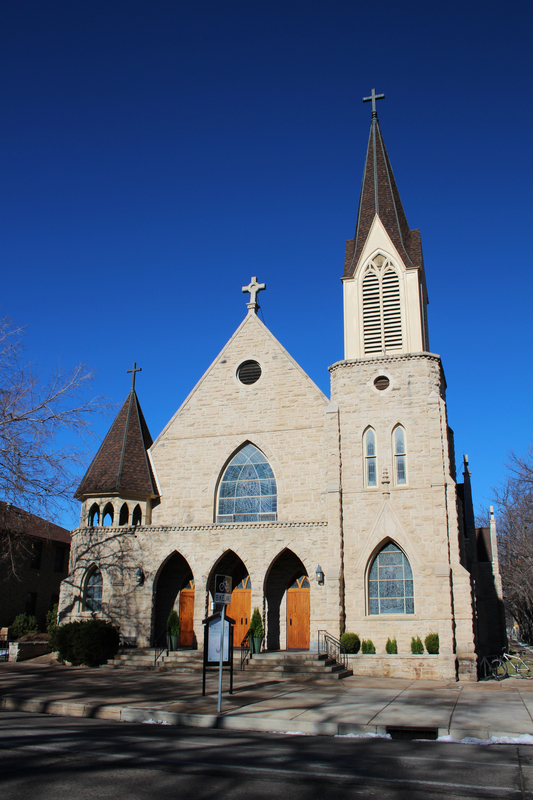 The beautiful building we see today at 300 West Mountain was the first catholic church in town. It has housed the St. Joseph’s Catholic Church since it opened in 1901, and has never changed ownership (Fleming). The land was initially purchased from Franklin Avery. “In 1914, First Presbyterian erected the church shown here at the northwest corner of College Avenue and Myrtle Street,” (Fleming). The building was replaced with the one that stands today in 1976. It faces myrtle street and almost takes up an entire block. 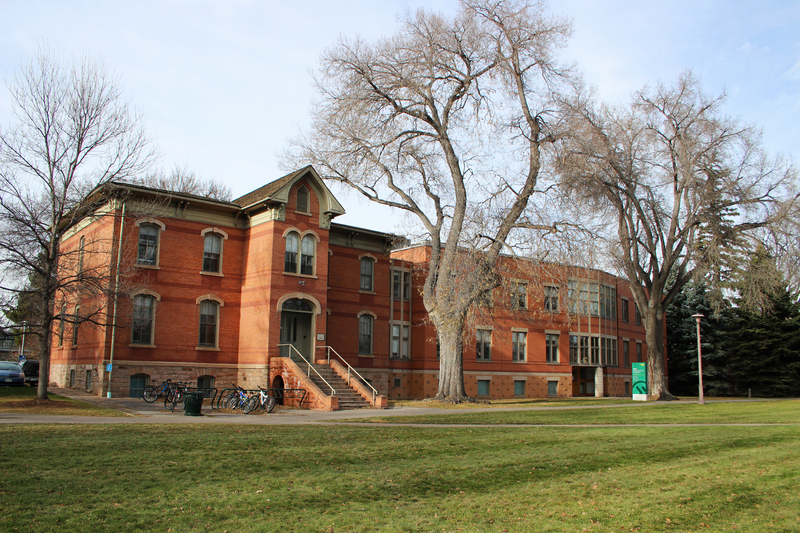 Colorado State University was founded in 1870. The first building on campus was built in 1878, known today as Old Main. It was designed as a multi-use classroom that included offices and living quarters for the president. The building was destroyed by a fire intentionally caused by students on May 8th, 1970, according to the colostate website. Since its destruction, Spruce Hall has become the oldest building on campus. It was originally designed and built in 1881, by Hiram Pierce, as student housing. A view of Spruce Hall today from College Avenue. Another one of CSU’s oldest establishments is the industrial sciences building. It was constructed in 1880 as a place engineering students could seek help with their construction careers. The building has recently been renovated, but it still stands today on Laurel Street. In 1890, the Botanical and Horticultural Laboratory was built (Fleming). It is a Victorian style cottage just north of Spruce Hall. For awhile, it also housed the music program, but today the building is called Routt Hall, and is used for administrative offices. Elementary and middle schools had to be established for the younger kids. “Before Remington School was constructed in 1879, classes were held in a wooden building on Riverside Drive and in vacant storefronts. As the town grew, the need for a sizeable school became apparent,” (Fleming). Remington Street School in 1967, (Photo Credit: Fort Collins Local History Archive). They started small in a brick building big enough for three teachers, and their classes. The structure was built at 318 Remington Street and was called Remington school. Town members were impressed by the building’s central heating and gaslights (Fleming). The school was destroyed in the 1970’s so that new senior housing could be built. 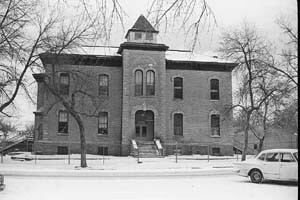 Benjamin Franklin School, (Photo Credit: Fort Collins Local History Archive). A second school was built just a few years later. Franklin School was constructed in 1887, on the southwest corner of Mountain Avenue and Howes Street (Fleming). In 1959 the building was crushed to make way for a new grocery store, which was also recently demolished in 2010. The area where the school originally was is now just a parking lot. In the early 1900’s another one of Fort Collin’s oldest high schools sat where the Lincoln Center is today. 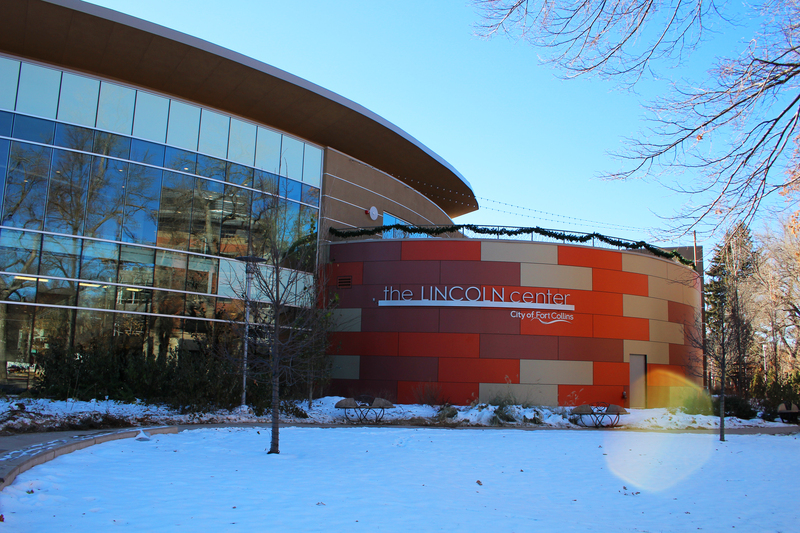 It was later remodeled and used for Lincoln Junior High School, until 1977 when it became the Lincoln Center. Parts of the original building were used for this project. The oldest school in Fort Collins that is still being used as a school today is Centennial High School (Fleming). The building was originally called Laurel Street School, and was almost destroyed. It was built in 1906 but it now features a new addition that doubled the size of the building. 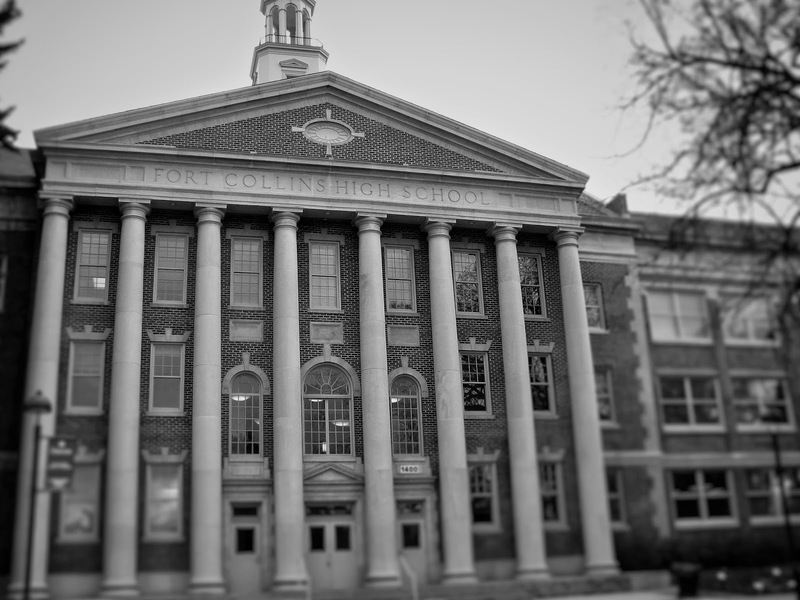 Fort Collins High School (Photo Credit: Fort Collins Fifth Column). Fort Collins High School used to occupy the building that is today used for the UCA (University Center for the Arts), east of campus. Fort Collins High School still exists, it is over on Lambkin Way. The building is used for music events, dance recitals, art showings and other events within the art department. In 2005, the city was named a Preserve America city by the White House. I am proud to be part of such a friendly community with such a deep historical background. If you are looking to visit Fort Collins, check out this website to find cool activities in town. More information about the history of Fort Collins can be found at the Museum of Discovery in the local history archive, or on campus in the university archive at the archives offices in the library. For those of you exploring Fort Collins today, check out Groupon’s Things To Do page for fun, discounted activities!